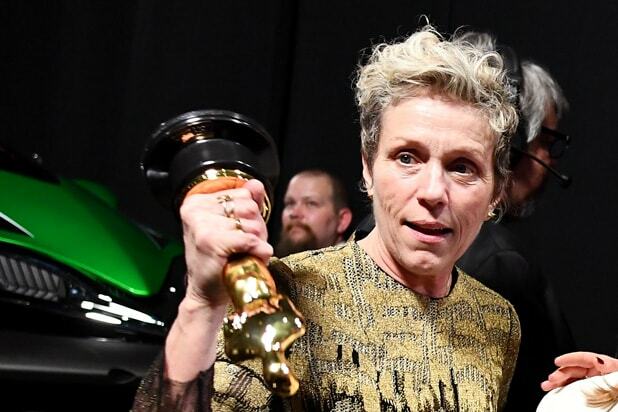 Frances McDormand, a week has passed since the Oscars, and I’m still fired up by your speech. The highlight of attending this year’s ceremony was when you symbolically lowered your much-deserved masculine statue down on the stage, and called on all the nominated women to stand. Your recitation of “inclusion rider” validated a legal concept that needs to be shouted throughout the land. I was moved to tears and stood up cheering your inspiring gestures from my nosebleed seat at the Dolby Theatre. The only thing that would have made me happier was if I had been able to give you the gun reform button — “Love Your Children More Than Your Guns” — that I had in tow. My vision was of you wearing this miniature billboard for the world to see. I presented one to Allison Janney while secretly wishing her “West Wing” character was presently working in the White House. I believe the 2018 Oscars are going to have a lasting influence. The nomination for “Mudbound” cinematographer Rachel Morrison has already challenged me to hire beyond the norm. I employ mostly female staff members and editor, and was now inspired to use a female cinematographer for my L.A. shoot last week. My search was unsuccessful, but I am now committed to hiring a woman DP for future shoots. Other Hollywood actresses have also led the charge. The expressions of solidarity with the #MeToo and Time’s Up movements at the Golden Globes and the SAG Awards were so encouraging. 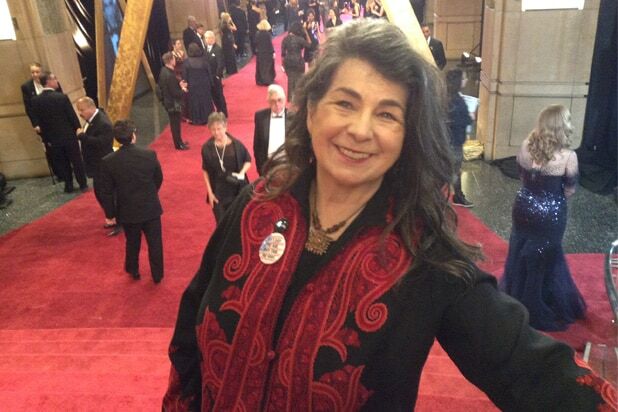 These thespians’ courageous acts inspired me to come to the Oscar ceremony sporting an accessory about our society’s gun issues, because lawmakers in my Washington, D.C., hometown are not calling for reform. Using words expressed by one of the Parkland student survivors, a D.C. school teacher was my designer. I finally managed to hand McDormand a button two days after the Oscars when she was introducing an amazing new film, “The Rider,” directed by the talented Chloe Zhao. At its reception, I observed how the outspoken actress’ words were already reverberating in Hollywood. I overheard a male producer bragging that he was hiring two female directors for future film projects. I left L.A. singing, “Is this the start of something wonderful and new,” from the Oscar-winning song from last year’s “La La Land,” “City of Stars.” I told my airport Lyft driver, an actor of African heritage named Lamarana Bah, that this new Hollywood era should be helpful finding roles. I swear I stood taller arriving in my Washington on Women’s International Day. And I did not waste any time employing my expanded height. I rushed to proudly attend a private screening of the most enjoyable “A Wrinkle in Time,” directed by Ava DuVernay and produced by the tenacity of D.C.-based producer Catherine Hand. It is one of the largest budgeted films ever directed by a woman of color. I returned late at night to find a newsletter that lauded those contributing to the creation of an embassy statute without mentioning any of the women who had also worked on the art project. I sent off emails criticizing the exclusion, and sure enough those in power agreed to correct the errors. I feel McDormand’s message traveling with me as I am working today on a new feminist tale, “Pissed Off,” about how the female senators fought to secure a bathroom for themselves in the Capitol since there had not been women elected to that legislative branch before 1932. Hollywood inspired this story too — the idea came to me listening to a panel last year at The Wrap’s Power Women Breakfast in D.C. I expect that McDormand’s call for action and advancements in 2018 will be reflected at next year’s ceremony. How about a woman hosting the Oscars? Bring back Whoopi!! Expect another nomination for Morrison’s work on “Black Panther,” and numerous nods for diverse and female nominees. Meanwhile, there is a most pressing matter. To those women in Hollywood who have led the way please join us here in D.C. on March 24 to walk the streets calling for changes in U.S. gun laws. We need your talent and notoriety to demand that legislators finally demonstrate compassion and wisdom to protect our youth. Frances, we need you here to billboard the message. And if you have misplaced the button I gave you, don’t worry — we are making many more. 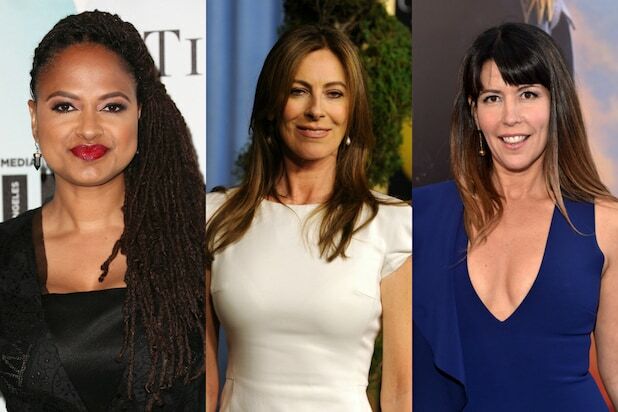 Only nine women directors, so far, have ever been given a budget north of $100 million. Even fewer have done so without also having a male co-director or on projects that aren't animated. That needs to change, and with "Captain Marvel" opening this weekend, hopefully that changes soon. Before she became the first (and only) woman to win the Oscar for Best Director, Kathryn Bigelow was the first woman director to land a $100 million budget for her 2002 submarine thriller "K-19: The Widowmaker." Jennifer Yuh Nelson directed the $150 million sequel to "Kung Fu Panda." She came back for the third film as well with a similar budget, but would then be paired with male director Alessandro Carloni. Lana Wachowski came out publicly as a transgender woman in 2012 while discussing the creative process behind "Cloud Atlas." She would then co-direct "Jupiter Ascending" in 2015, with Lilly also coming out as trans woman in 2016. Jennifer Lee's "Frozen" won two Oscars and was a pop cultural smash, and she'll direct the sequel as well along with Chris Buck. Patty Jenkins was only the third woman to direct a $100 million budgeted movie solo. "Wonder Woman" went on to make $412 million at the domestic box office. She's signed on to direct the sequel "Wonder Woman 1984" due out in 2020. Disney's "A Wrinkle in Time" is an ambitious fantasy that should hopefully inspire a new generation of filmmakers and young kids. But the exotic, colorful family film only made $132 million at the worldwide box office. Marvel's first female-fronted property enlisted Anna Boden along with Ryan Fleck, best known for their indie "Mississippi Grind." Its Thursday box office preview made it the fifth highest opening for any MCU film, putting it on pace for a huge first weekend. Niki Caro's live action adaptation of the animated hit "Mulan" was supposed to come out later this year, but was recently pushed back to 2020. Oscars: What Is an ‘Inclusion Rider,’ That Thing Frances McDormand Mentioned in Her Acceptance Speech? Aviva Kempner is a writer and documentary filmmaker whose features include 1998's award-winning “The Life and Times of Hank Greenberg,” about the first Jewish baseball star in the major leagues, and 2015's "Rosenwald," about Jewish-American philanthropist Julius Rosenwald. She is currently finishing a documentary about OSS spy and catcher Moe Berg.